Takeaway: Boost the performance of your garden with the latest products available for modern growers. This time we are featuring pest control, sprayers, lighting options, and worm castings from companies like PreGro, Reiziger, Hydroworxx, VermisTerra, and Grower's Choice. These products are all #GoodtoGrow. Repetitive spraying can be a pain. Users of aerosol sprayers might experience hand pain, numbness, tingling, and weakness. That’s where the PreGro vGrip comes in handy. The ergonomic trigger maximizes spray comfort with zero finger fatigue. It easily snaps onto most standard aerosol heads, including the PreGro Sprayer—the garden sprayer solution for eco-conscious individuals. It is portable and lightweight, and ideal for handling all jobs big and small in the garden or greenhouse. 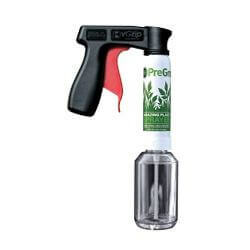 Whether spraying commercial or homemade gardening treatments, the vGrip handle—attached to the PreGro Sprayer—keeps fingers away from caustic chemicals. The grip trigger works just as well even when wearing gardening gloves. Manufactured using recycled plastics, vGrip is made in the USA. VermisTerra is your answer to growing clean, organic medicine. Using Vermisterra, disease and pests are better suppressed, which reduces and even eliminates the need for chemical fertilizers and pesticides. Growers see increased foliar growth, more visible resin, and increased yield in flowers and oil. 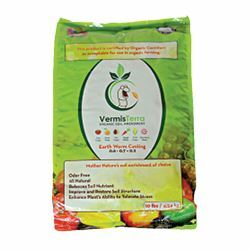 VermisTerra’s super fine worm castings are rich in humic acid, beneficial microbes, mycorrhiza, trace elements, and natural growth hormones. Their premium castings are ideal for indoor growing; screened and aged seven to 10 years so it’s stable, with virtually no raw material, eliminating pathogen concerns. The microbe solution is stabilized, giving it a long shelf life. Use as a standalone or with your current program. VermisTerra is owned by a worm farmer with 30 years of agricultural experience. They’ve consulted for outdoor, greenhouse, and organic farmers for 15 years. Each batch is lab tested, certified organic, free of pathogens and toxic heavy metals. Available online in various sizes. 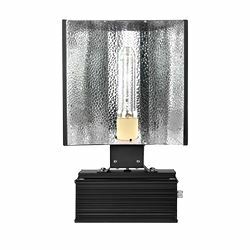 Grower’s Choice is proud to introduce their new Digital 315W Ceramic Metal Halide Complete Fixture which was launched at the GROWX trade show in San Jose. Utilizing cutting edge 50/60-Hz low frequency Square-Wave technology, their fixture can maintain lumen output higher than 90 per cent at over 10,000 hours while maintaining the initial spectrum, ensuring both reliability and efficiency. Grower’s Choice CMH Fixture is capable of operating at either 120V or 240V, making it ideal for home and commercial applications. Their Smart-Dim technology allows growers to dim and super-charge the lamp, depending on the grower’s specific needs. Grower’s Choice offers the broadest range of 315W lamps, including the 3,100K Full Phase, 3,100K-R Red Enhanced, 4,200K Day Light, and 10,000K Finishing. 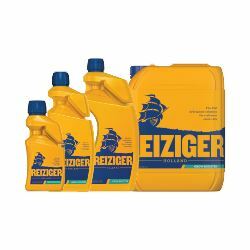 Reiziger Grow Booster is the first hydroponic grow booster for craftsmen tailored to the needs of all short cultures. Born from nature, made in Holland, Dutch craftsman insist this precious and effective natural liquid produces astonishing results with the power to transform plants and quickly increase biomass while amplifying aromatic compounds. In a short time, plant vigor improves, lushness is restored and greater yields achieved. Formulated with a high concentration of powerful botanical ingredients, this transformational liquid empowers the plant with the energy it needs to fortify its natural defence process to help elevate the production of aromatic compounds and terpenes, which directly benefit color, aroma, and resin production. Search for the ship on the gold bottle. Neudorff, the German market leader for pest control and plant care products, have now introduced their high efficacy pest control product line for urban growers and organic gardeners. 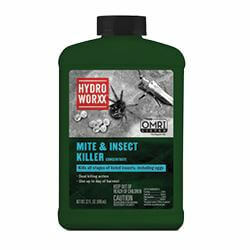 Dual active ingredients work to control a long list of insects and mites, including aphids, caterpillars, fungus gnats, mites, scale, spider mites, thrips, whiteflies and more, HydroWorxx Mite and Insect Killer stands out from the pack. If you’ve ever noticed distorted or dead leaves before you’ve noticed pests, you might be at odds with destructive thrips. Thrips can cause your ornamentals to turn into aesthetic nightmares. They can lower marketability and yield of your commercial crops. Perhaps worse, they can spread plant diseases. This OMRI listed solution enlists the help of dual active ingredients: canola oil and pyrethrins (derived from chrysanthemum flowers).